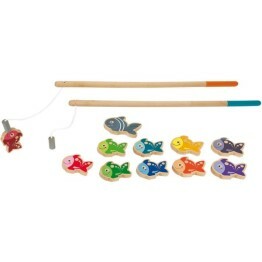 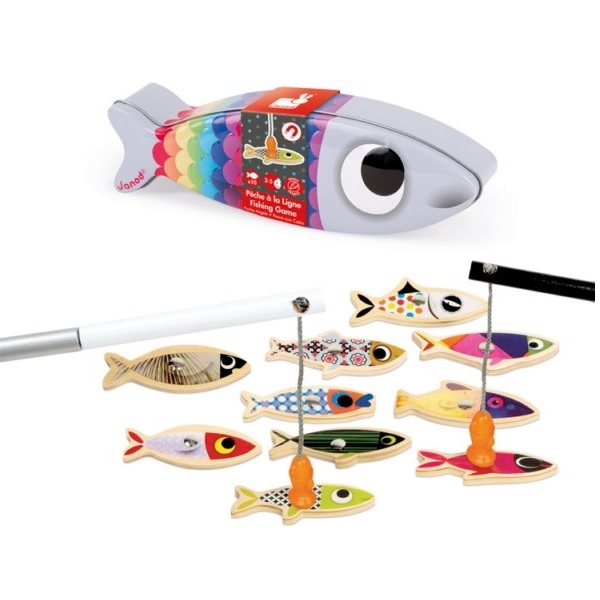 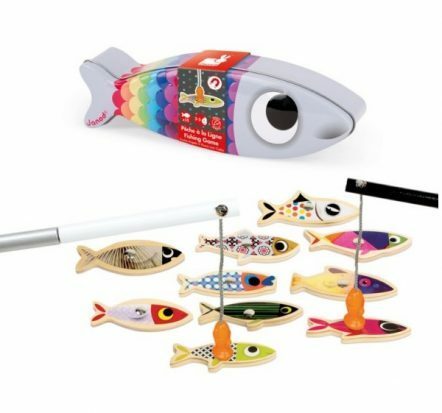 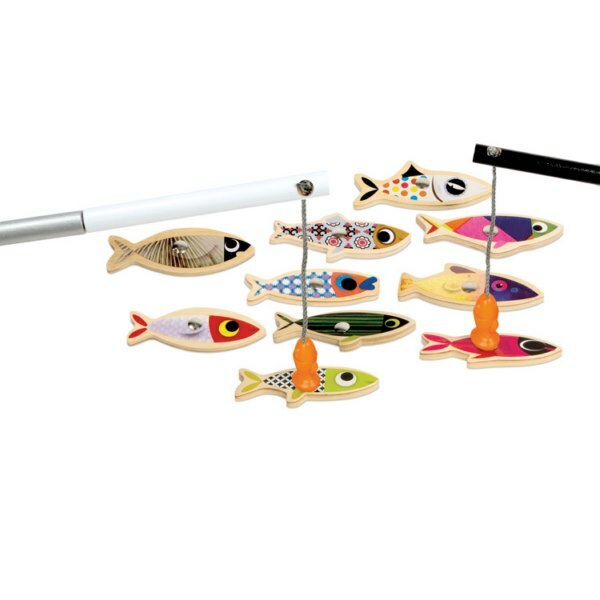 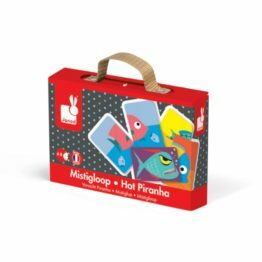 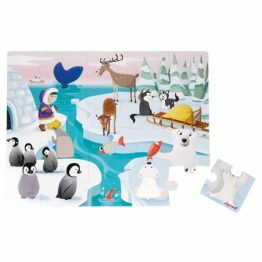 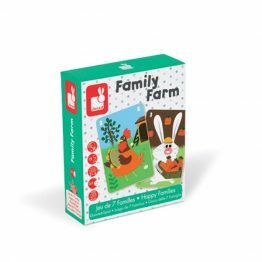 The Janod Sardine Fishing Game is composed of 10 funny and colourful sardines each of which has a metal “scale” fixed on both sides so you can catch them with one of the 2 wooden rods with fish shaped magnetic “hooks”. 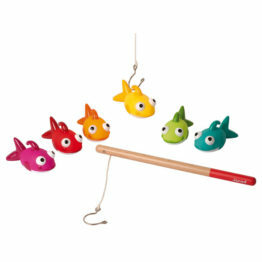 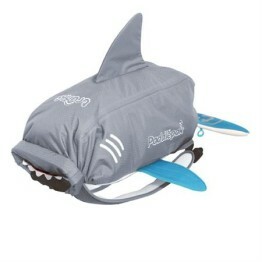 The magnets in the hooks are also fixed for safety. 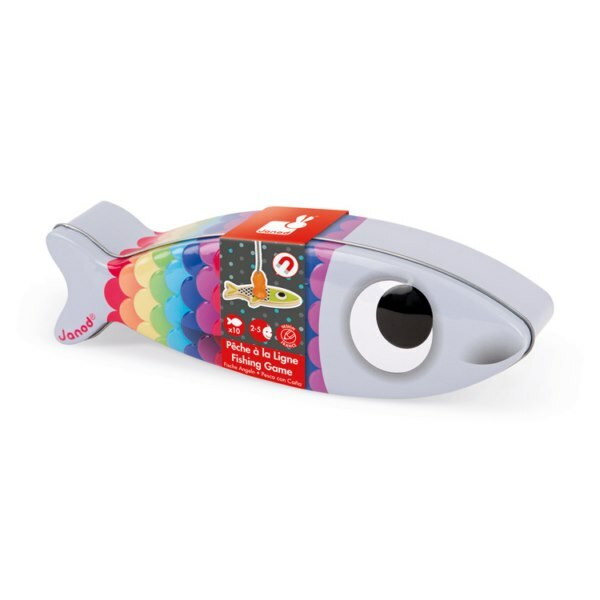 The colourfully printed sardine tin is embossed in the eyes and scales and sits neatly on the shelf.